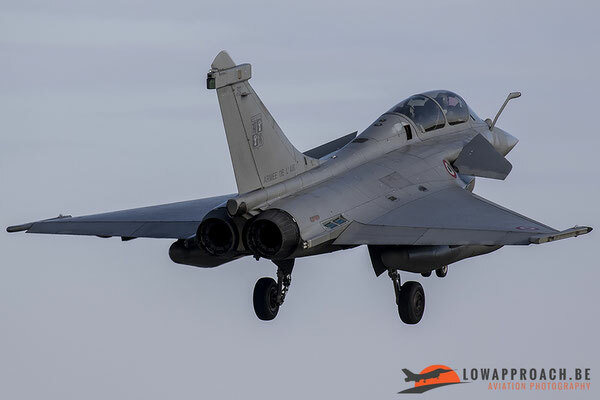 From the 12th till the 16th of February, Tim went to France, to be more precise, the North-Eastern part of France. 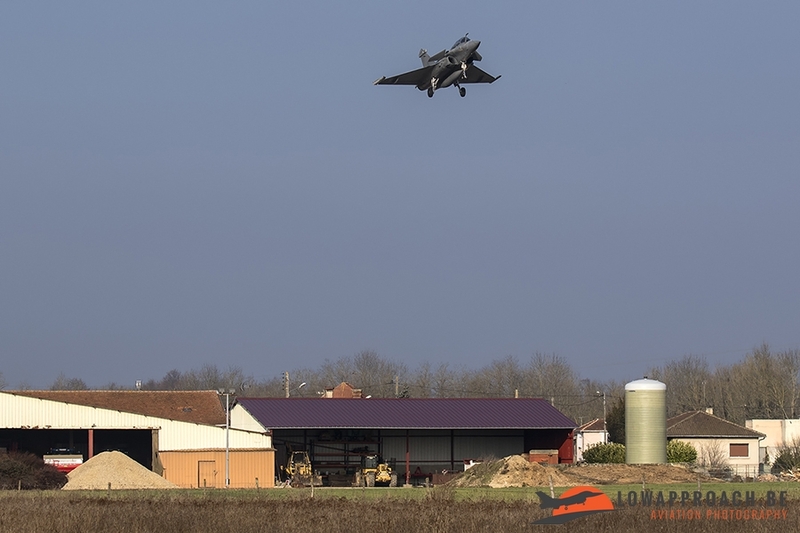 During his stay he had some really nice weather and coincidentally, in this part of France, there are also a couple of military airfields with some really interesting planes. 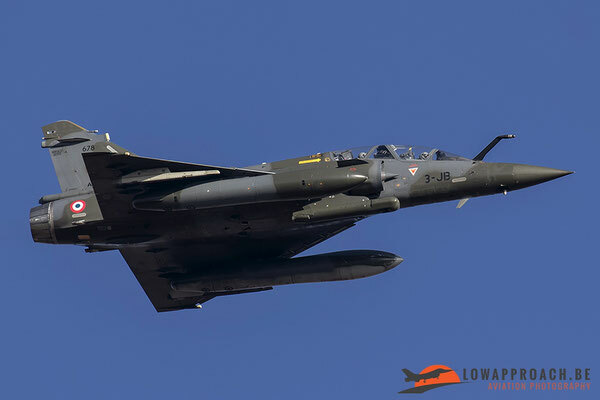 Tim spent 3 days of spotting at BA-113 in Saint-Dizier and BA-133 in Nancy-Ochey. On the 13th of February Tim drove to Saint-Dizier. 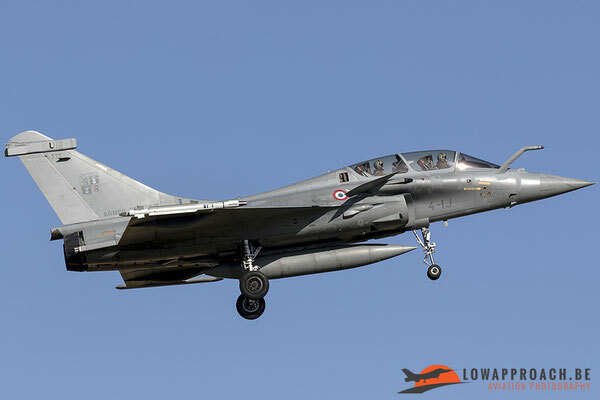 As already said in a previous report, Saint-Dizier is the home base of different squadrons that fly the Dassault Rafale. 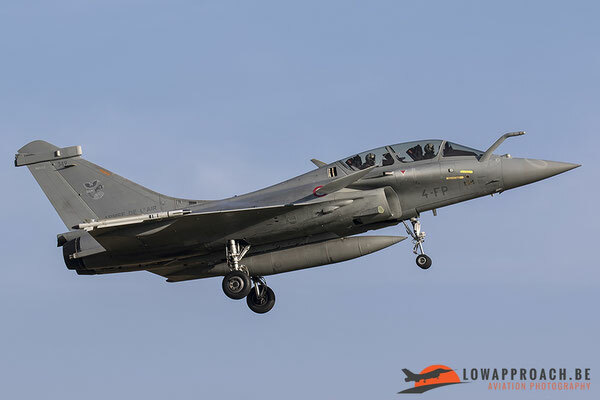 When he arrived there the great sound of the Snecma M88 engines that were starting up could already be heard echoing over the base. 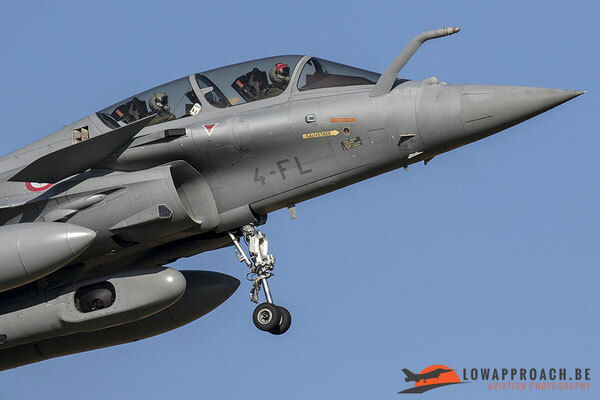 As the security restrictions are very tight in France, no pictures from taxiing planes or planes that are taking off can be made because pointing your camera towards the base is not tolerated. 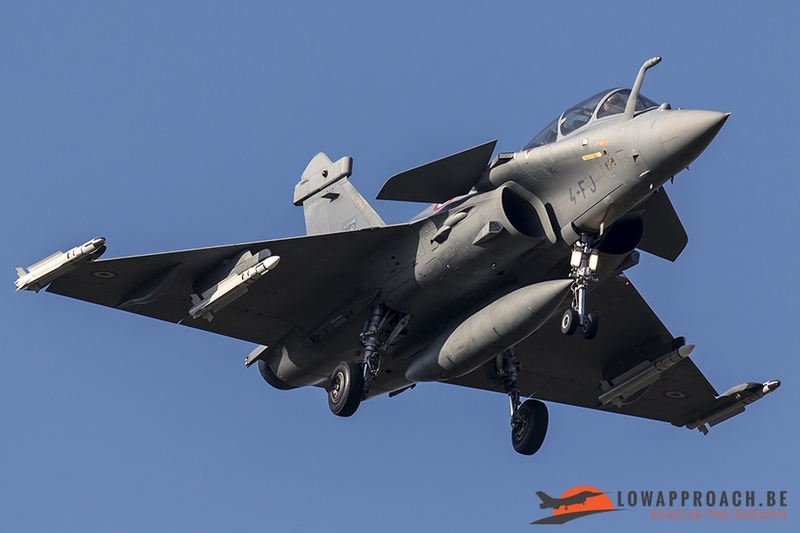 After a while the first planes returned and it was really nice to see that the first Rafale that turned downwind was actually a Rafale M, this is the Navy version from the Rafale family. This version can easily be identified from the other 2 versions during landing due to the sturdier landing gear that needs to take all the weight of the plane when landing onboard of an aircraft carrier. 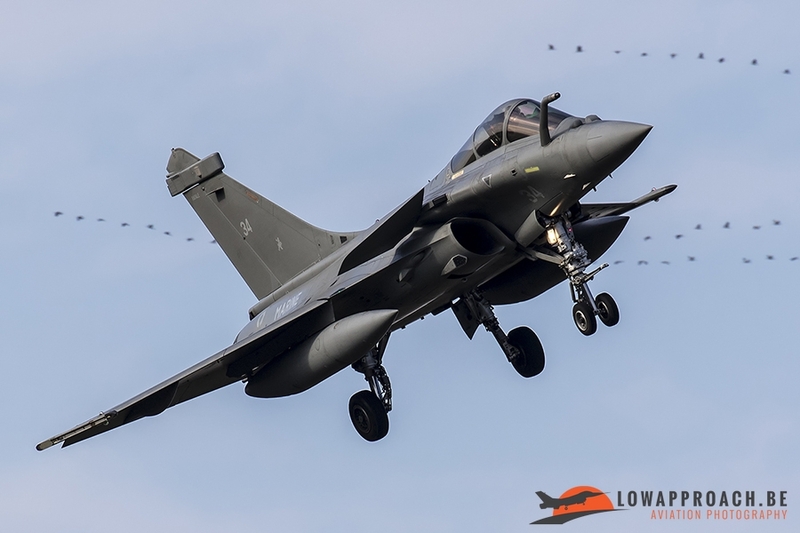 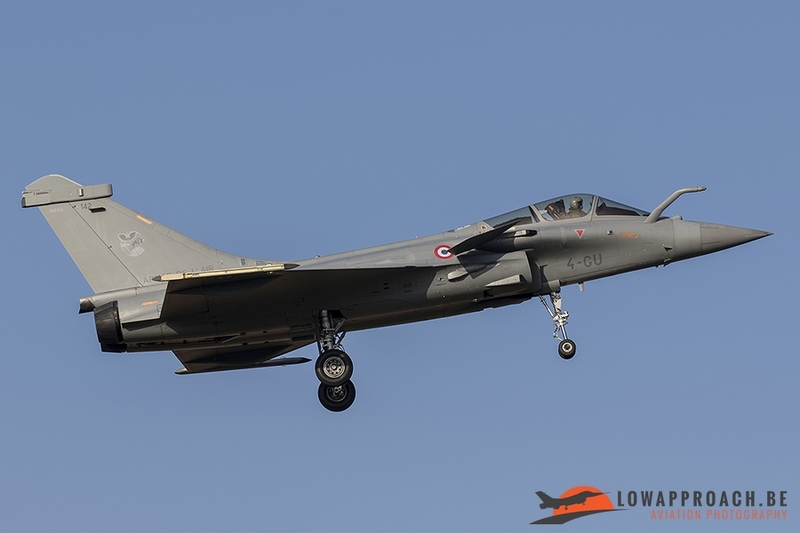 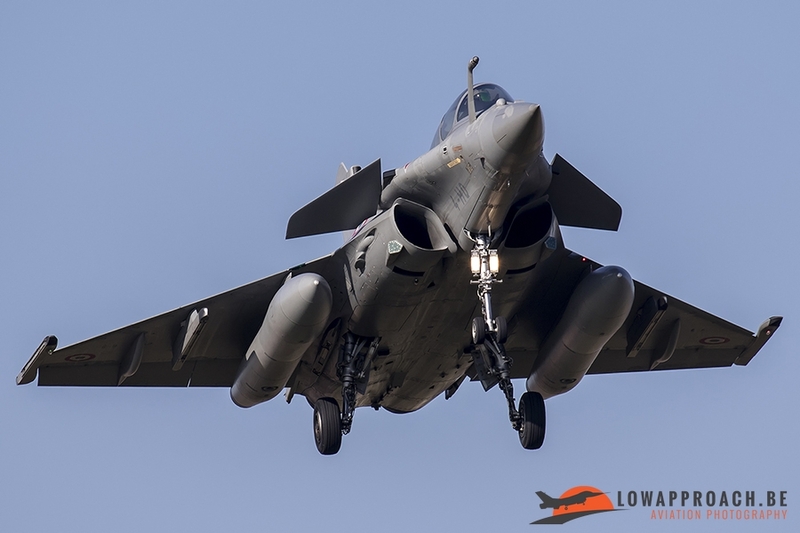 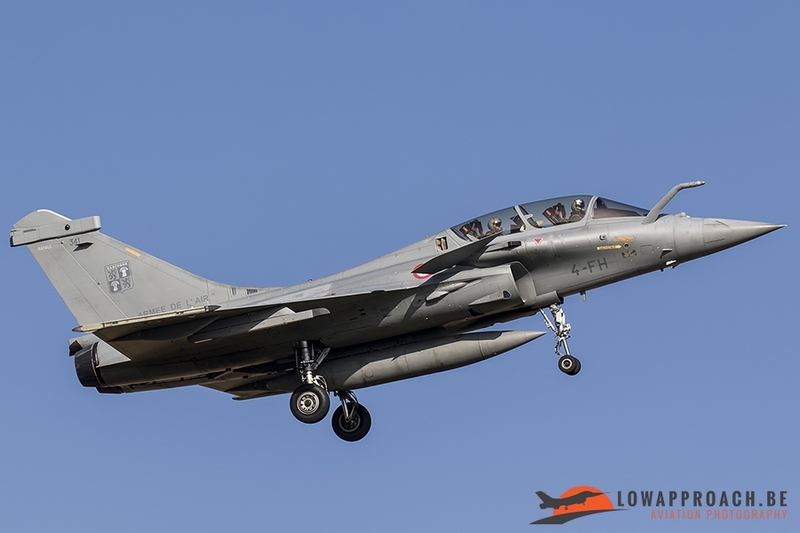 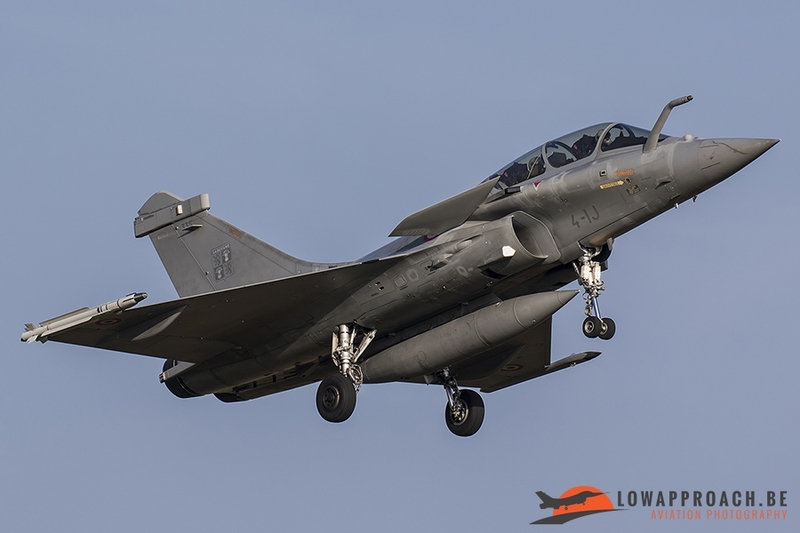 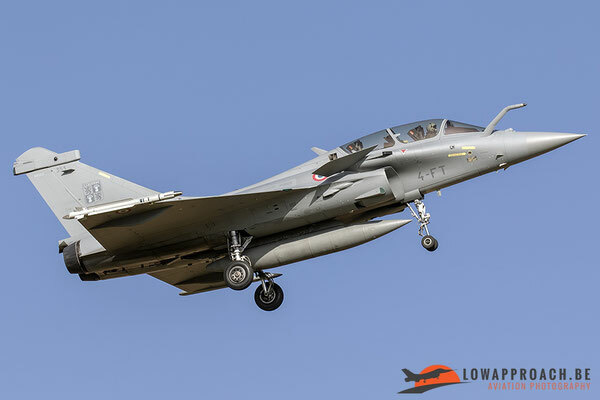 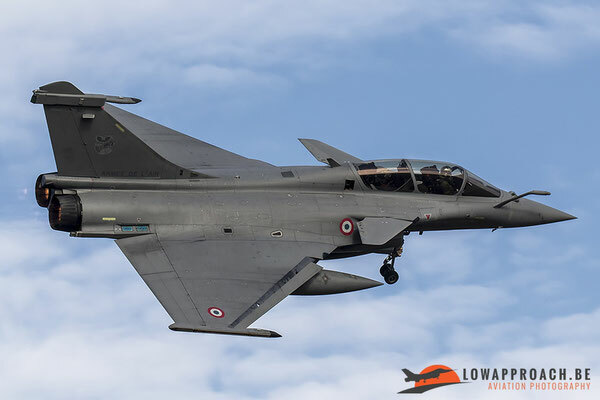 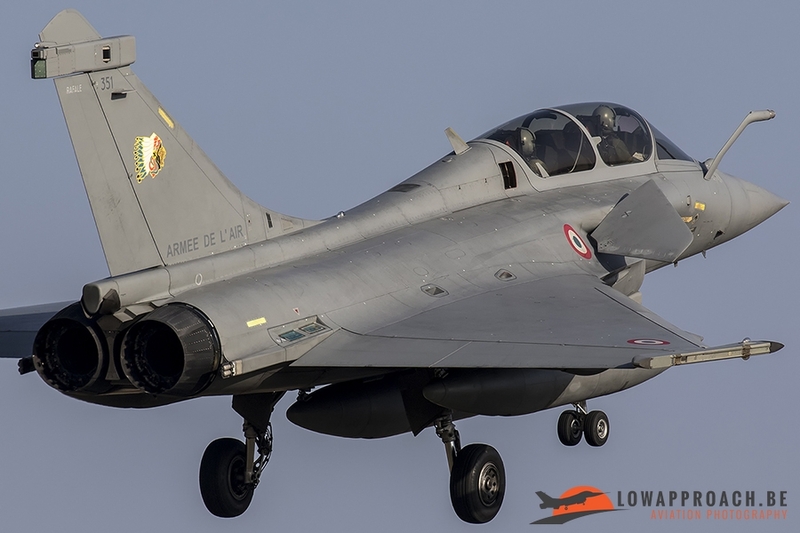 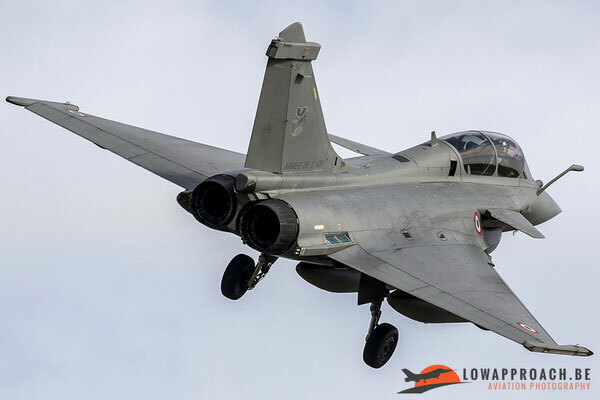 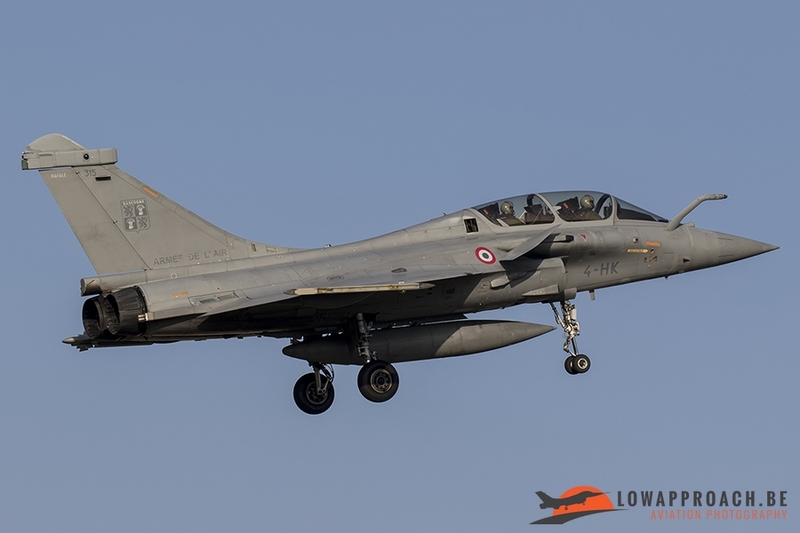 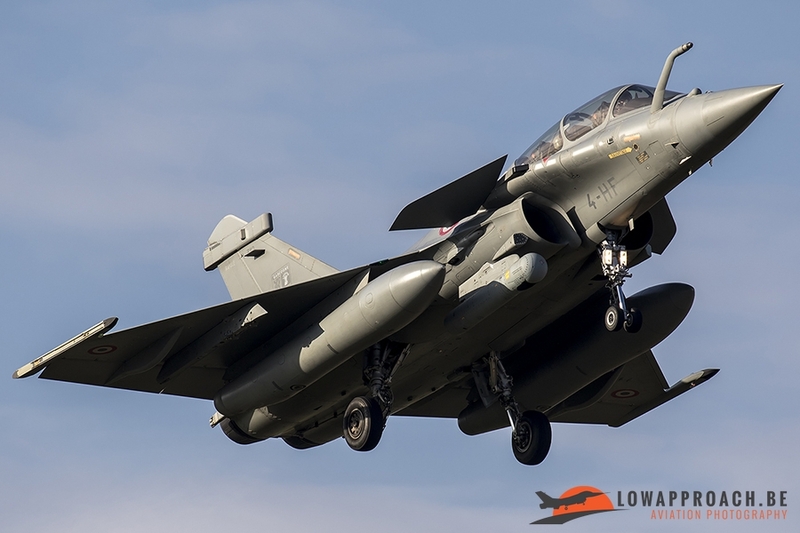 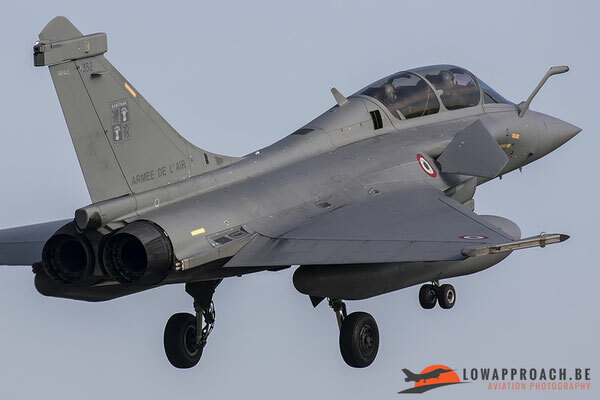 Apart from the Navy Rafale also the other 2 versions of Rafale could be seen in great numbers, especially the Rafale B, the two-seater variant flew a lot. 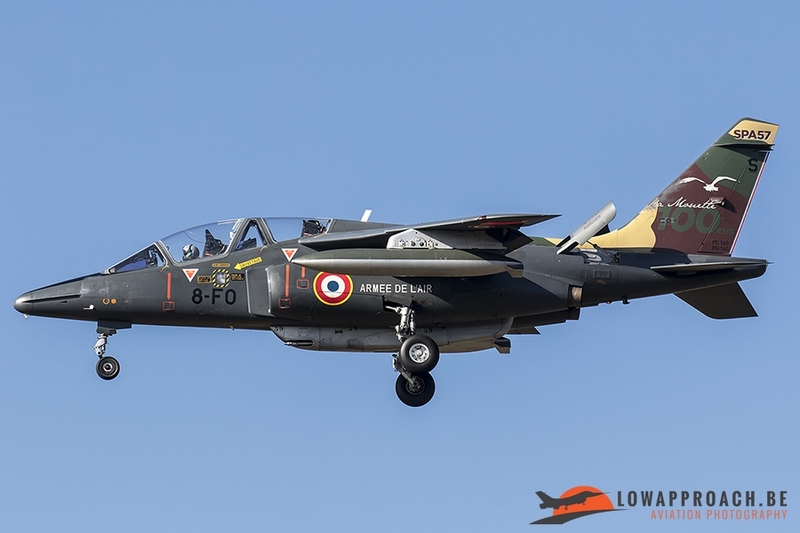 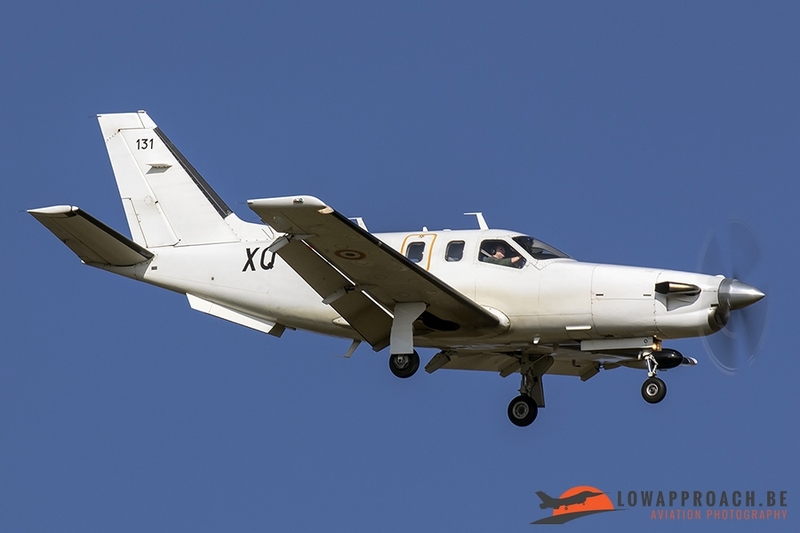 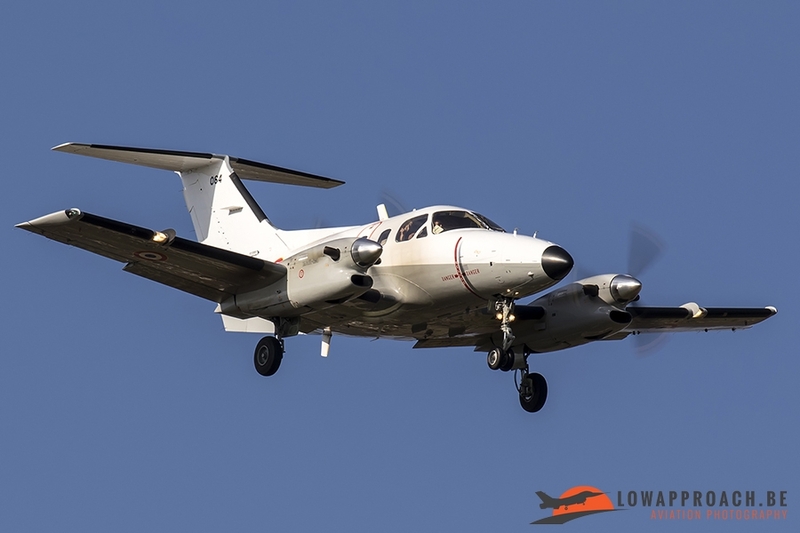 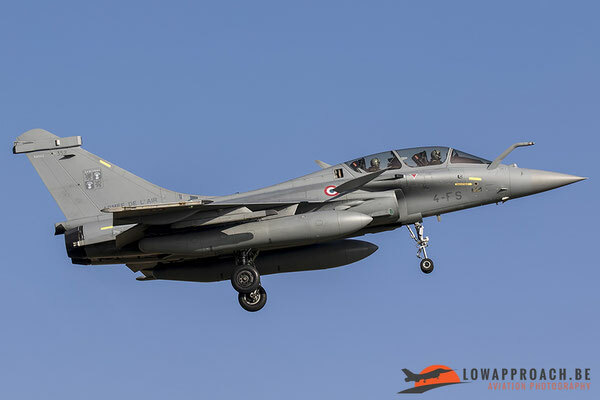 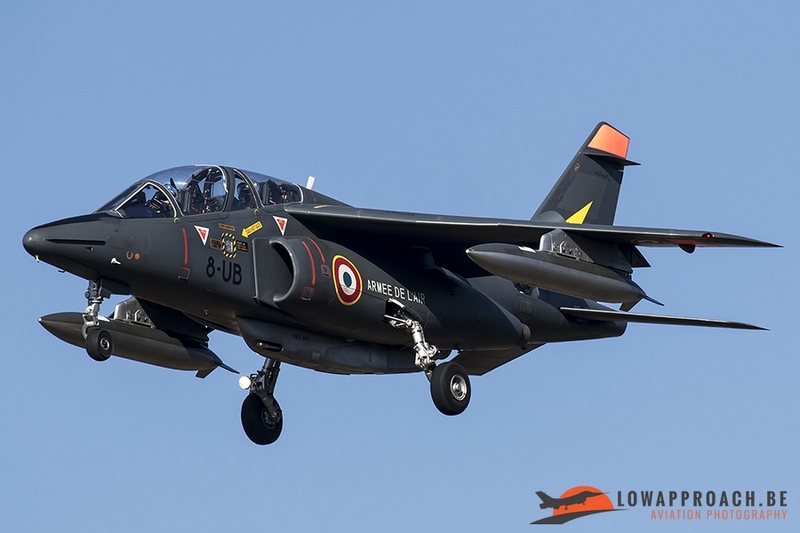 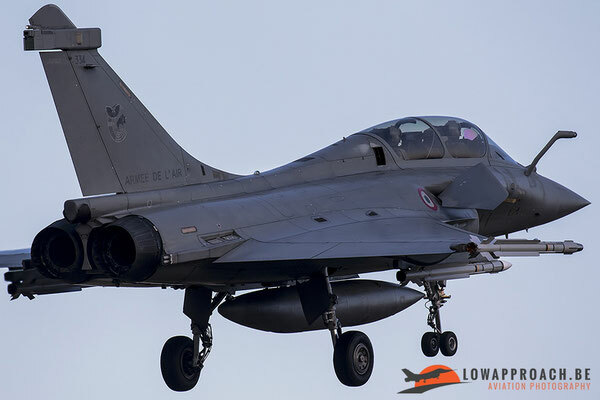 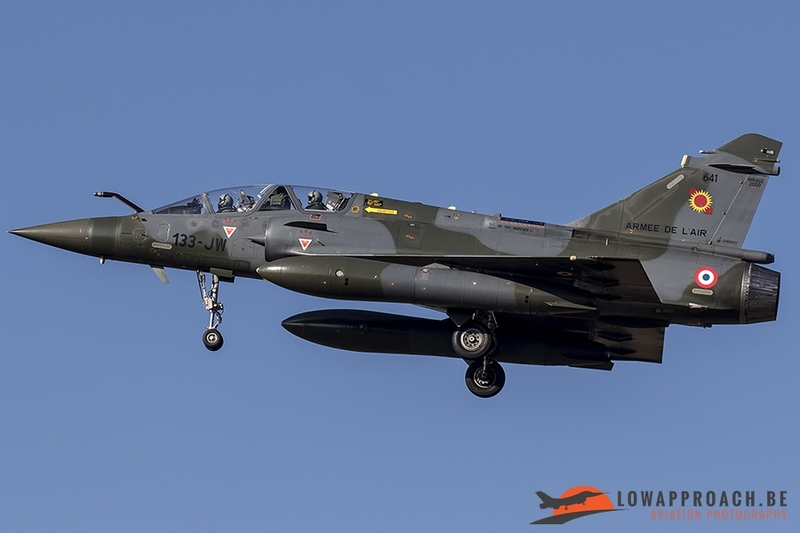 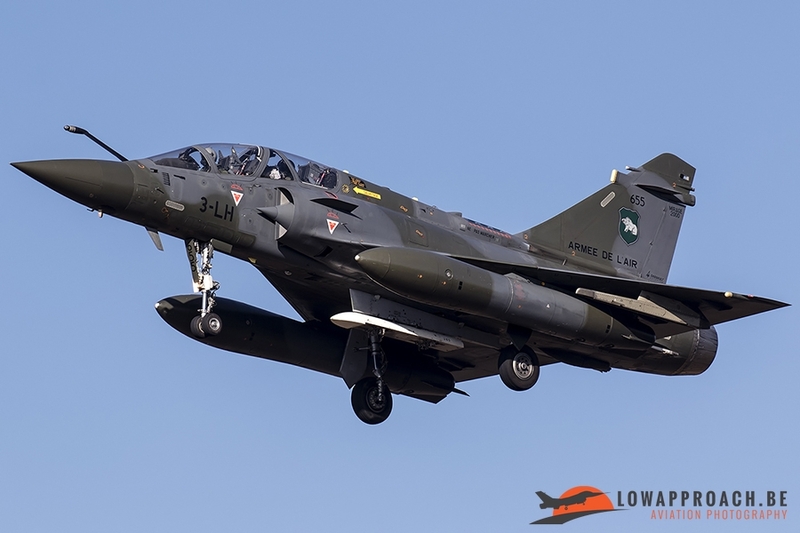 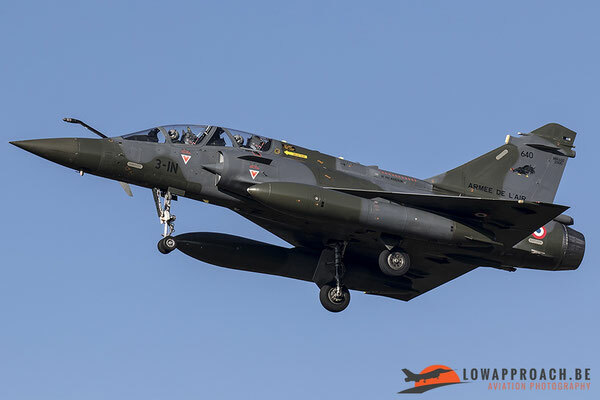 Besides the busy flying activity from the local aircraft there was also a visit from a TBM-700 and throughout the day also a total of 6 Mirage 2000D’s from nearby Nancy Air Base could be seen overflying the airfield on route to a shooting range. 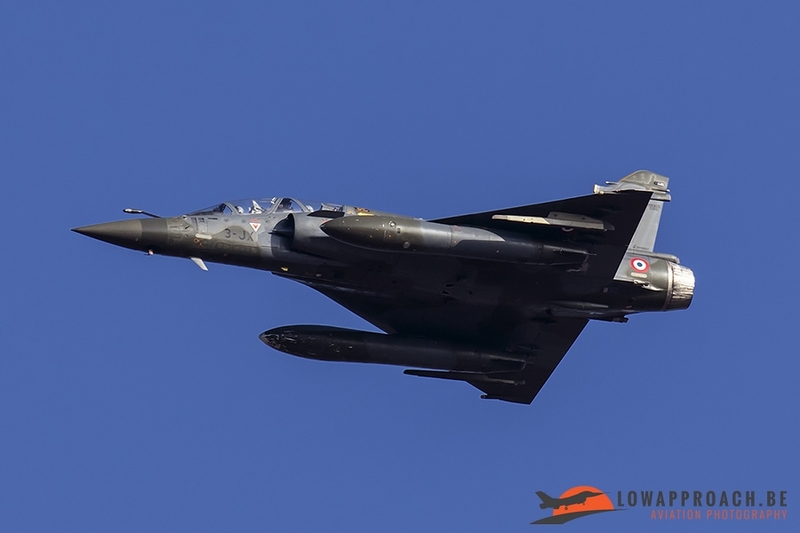 Sadly most of them were too high or too far away to photograph but I still managed to capture 2 of them when they crossed the airfield. On the 14th of February I returned back to Saint-Dizier and when I drove through the town of Hallignicourt 2 Rafales already flew overhead to land. Just as I had parked my car on the parking of the football field, that’s situated near the underrun of runway 11, a jet could be seen on final through the trees. 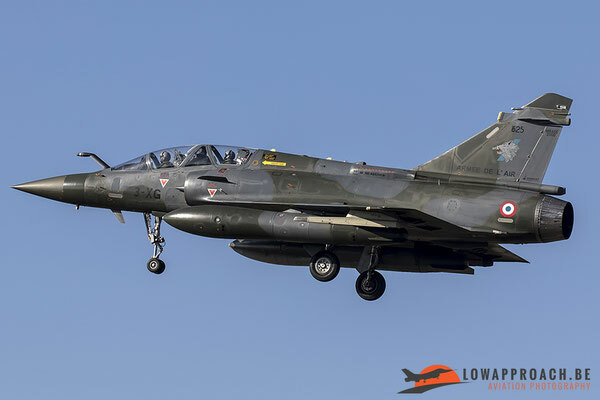 To my surprise it was a Mirage 2000D that made a precautionary landing after it suffered a bird strike. 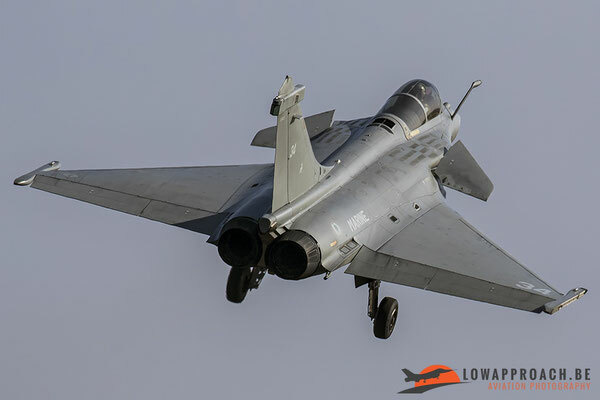 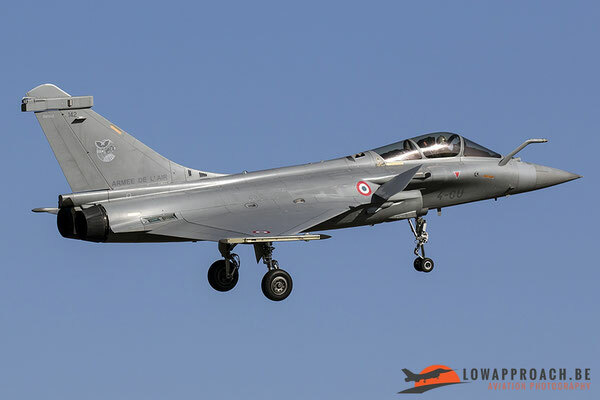 The second Mirage 2000 kept a close eye on his colleague during his emergency landing by flying beside him till he touched down. 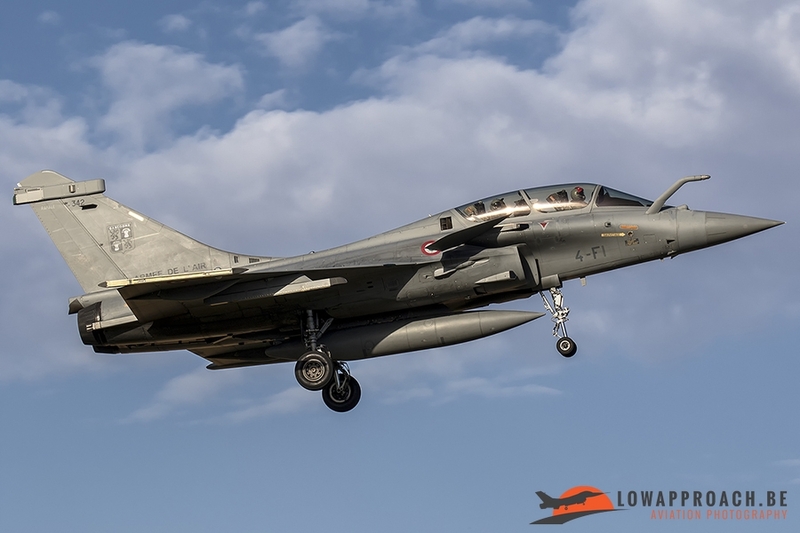 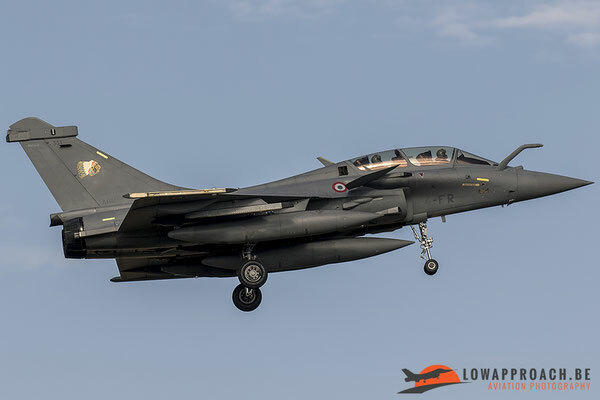 After the Mirage 2000 had exited the runway the other Rafales from the morning mission began to return. 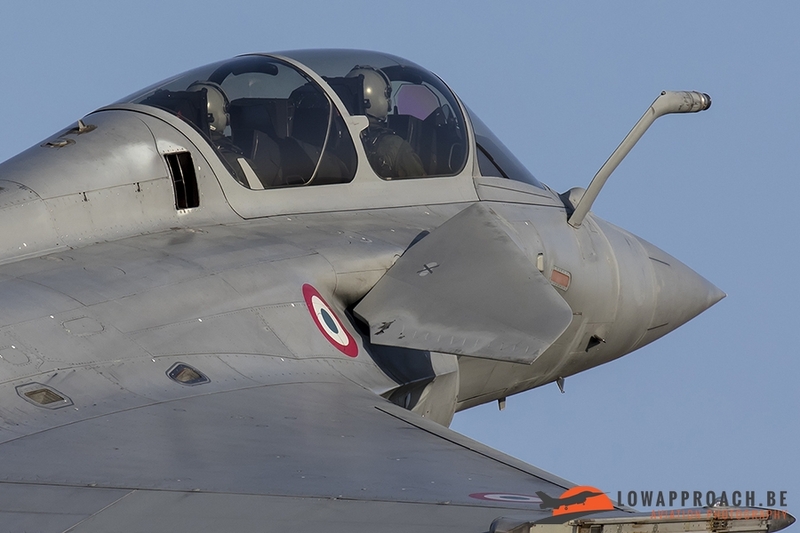 In the afternoon, besides the great amount of Rafales that took off, a Fennec paid a visit to the airfield. 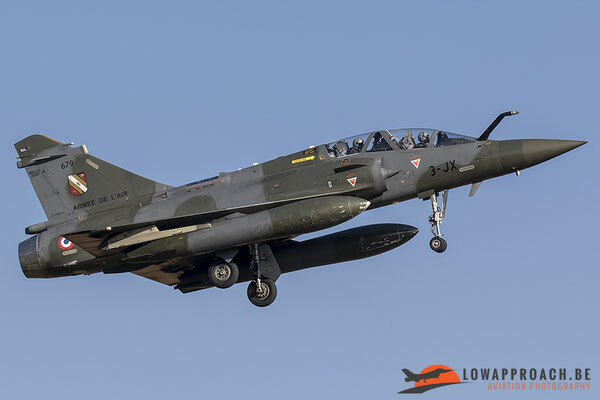 On the 15th of February I decided to drive to Nancy in the hope to catch some Mirage 2000D’s. 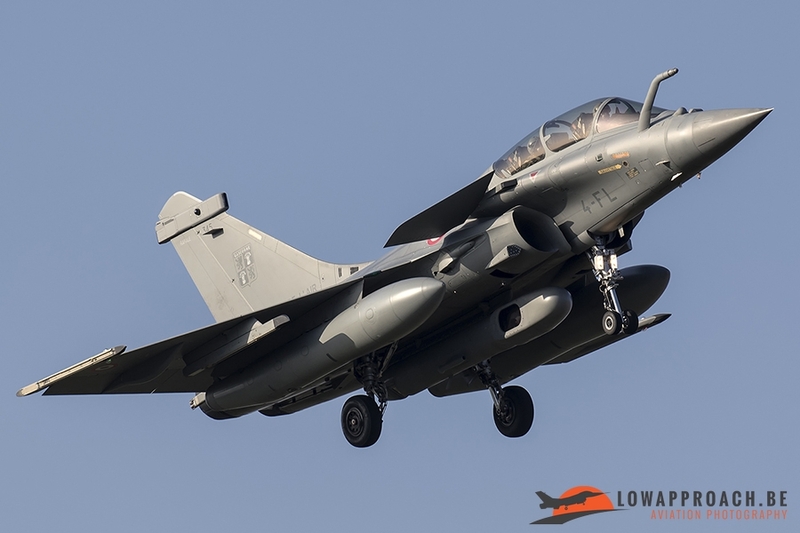 The wind direction had finally chanced to southern winds which meant that the Mirages were using runway 20 for take-off and landing. 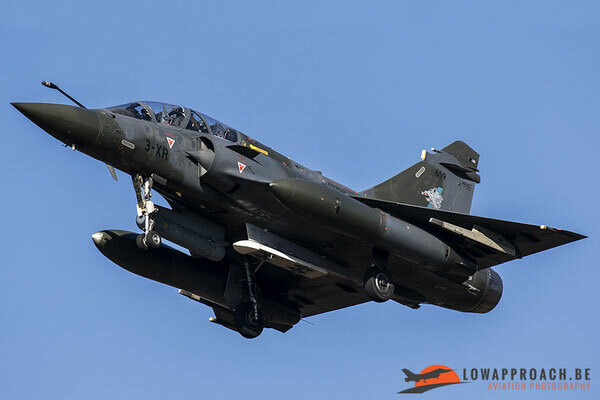 I was told and I had also read that this is practically the only chance to make some decent pictures from the Mirage 2000’s because when they use the other runway (runway 02), it is really hard to picture them. 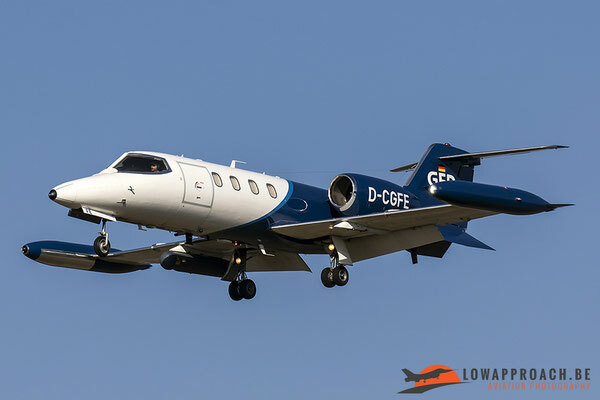 When I arrived around 10h00 it was very quiet and the landing lights were still not turned on. 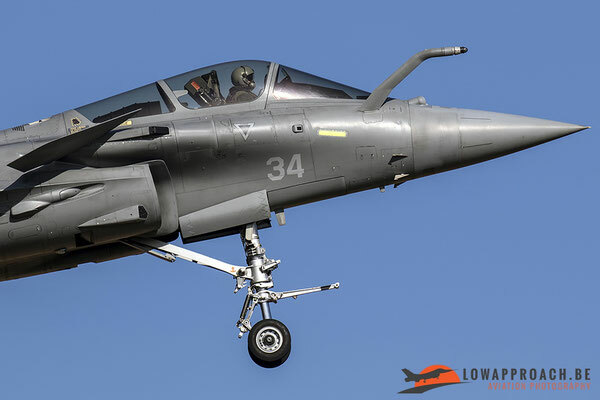 After about an hour I heard some engines were starting up. Because you’re standing lower than the airfield you can’t see how many aircraft there are departing. 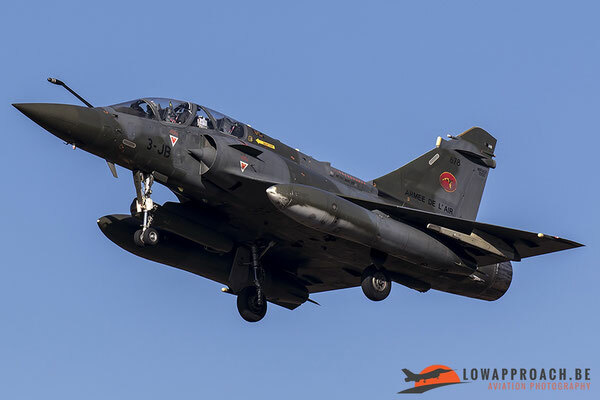 Luckily all the Mirages that took off came back on initial which meant that I still had time to walk to the edge of the forest before the aircraft were on final approach. In total I saw 9 mirage 2000D’s and I was pleasantly surprised that some of them had mission markings painted underneath the canopy, this was a really nice bonus for me! 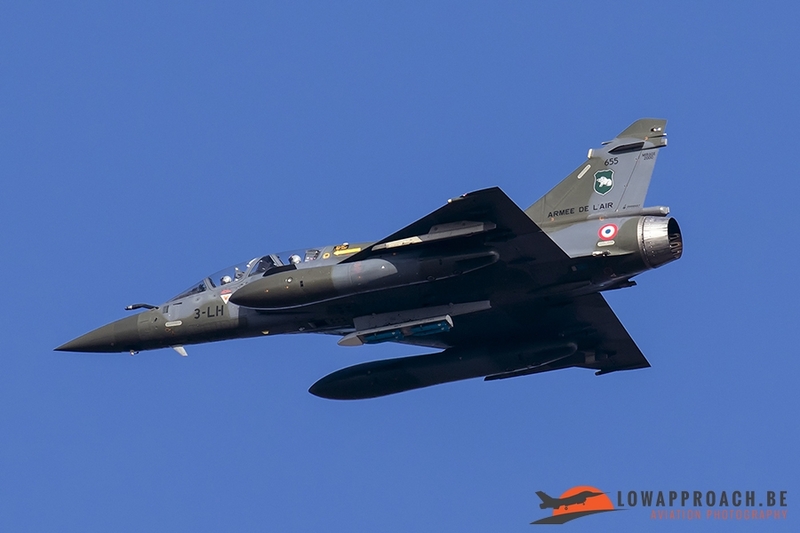 Besides the Mirages I was also lucky enough to see some visiting aircraft. 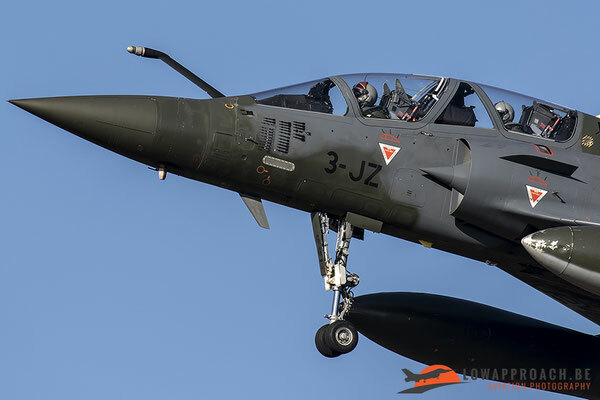 The ones I’m most happy with were 2 Alpha Jets from Cazaux which were equipped with wing tanks and even a gun pod! Sadly, after the second Alpha Jet had landed a soldier from the military police friendly asked me to leave. 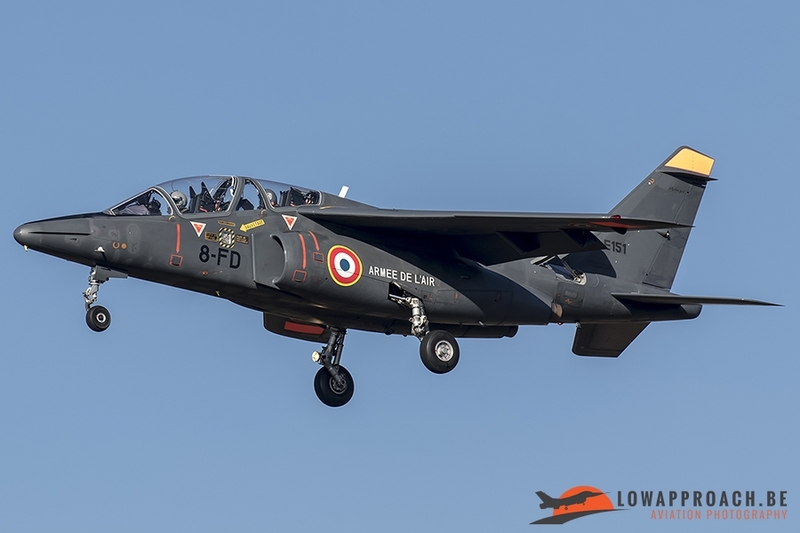 So I decided to drive back to Saint-Dizier and when I arrived at the parking of the football field, around 14h30, I was really overwhelmed by the amount of people that were there. 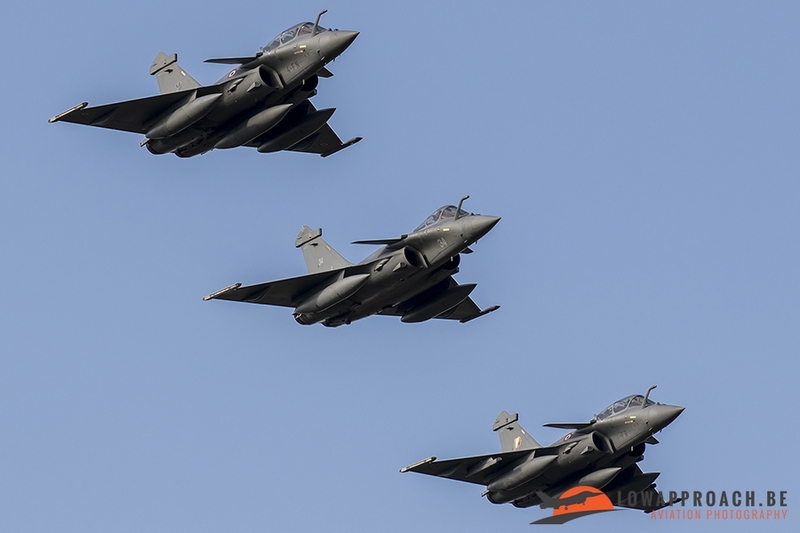 The whole parking was packed with cars and there wasn’t a football match or training going on so I was really surprised. But after a little hour I knew the reason why it was so busy. Suddenly 3 Rafales appeared and performed a really nice formation pass over the middle of the field and zoom climbed towards the clouds, which was a really impressive sight to see. 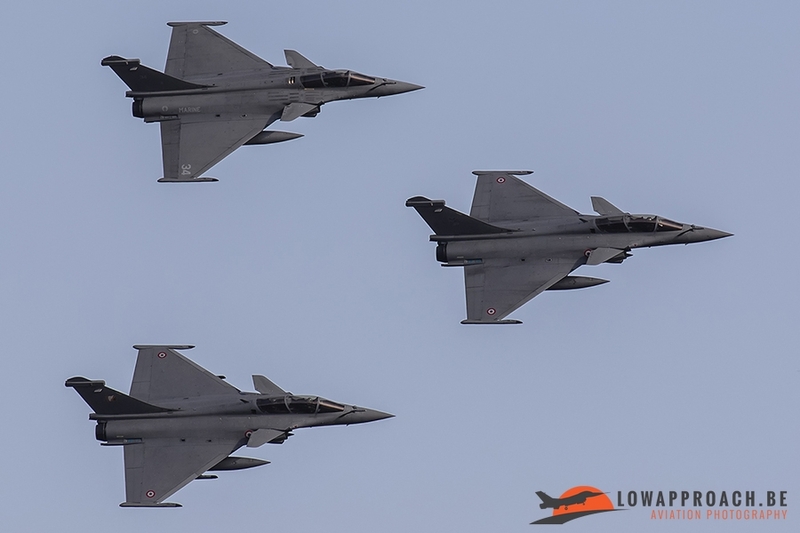 After they had rejoined they did one more formation pass before performing a tactical break. I later found out that it was the last flight from Cédric Ruet, probably mostly known between aviation enthusiasts as the first demonstration pilot on Rafale. 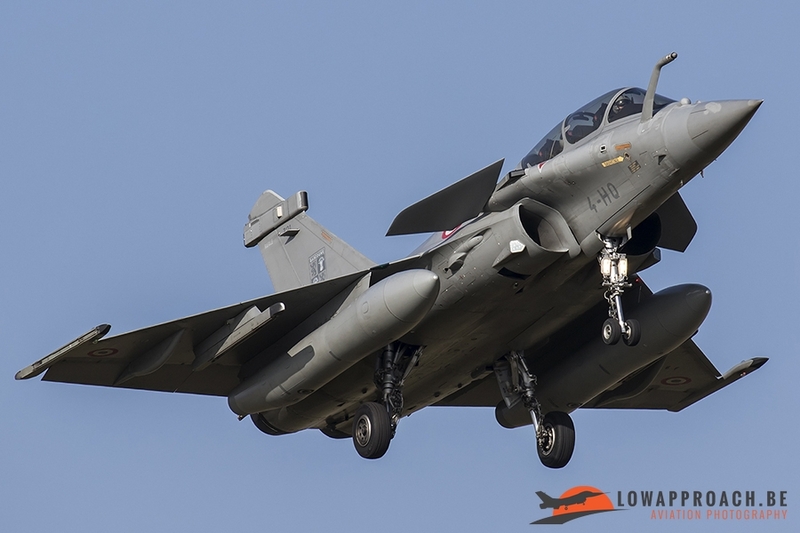 Before making his final landing he made some really great approaches. After Cédric had landed I waited until the last planes had recovered before returning home. 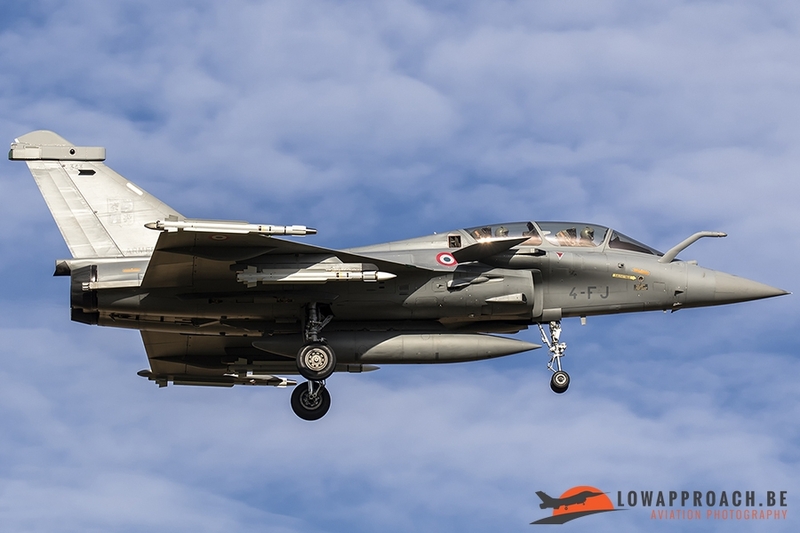 It was the first time that I went spotting in France and I was pretty surprised by the amount of movements I saw every day. 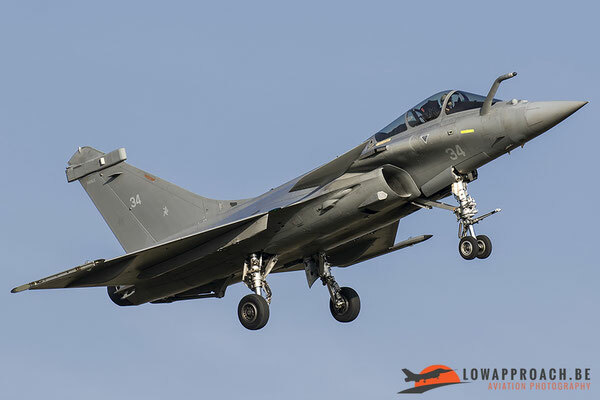 During the 3 days I visited Saint-Dizier they used runway 11 for take-offs and landings. This side is the best side for photography because you can position yourself on the football field to photograph the landing planes and you have the sun behind you for most of the day. 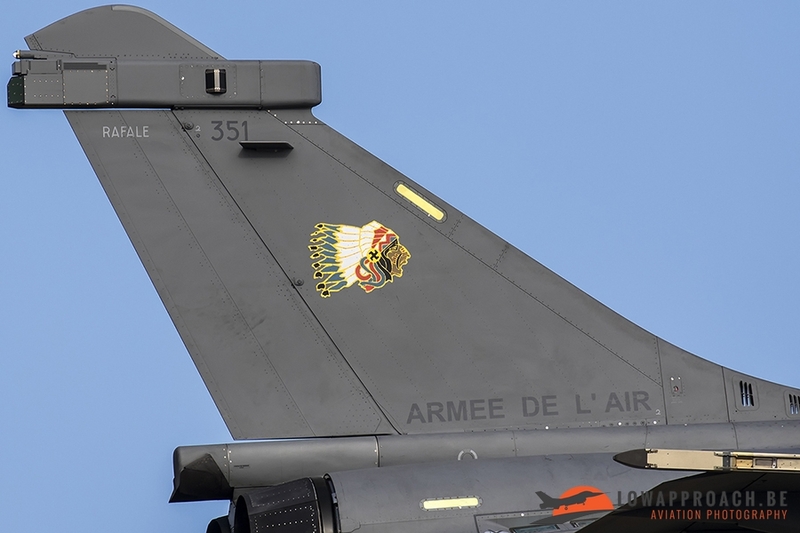 During my days there I was checked at least once a day by the (military) police and I had to show them my pictures so that they could see that I didn’t took any pictures in the direction of the base. 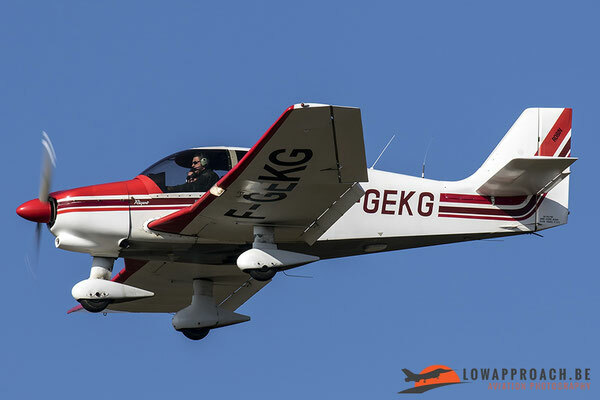 After they checked all this I could continue to enjoy my hobby. I waited to go to Nancy until there was southern wind for the reasons I told earlier in this report. The runways at Nancy are north-south situated so the best pictures you can make there are in the morning and afternoon. 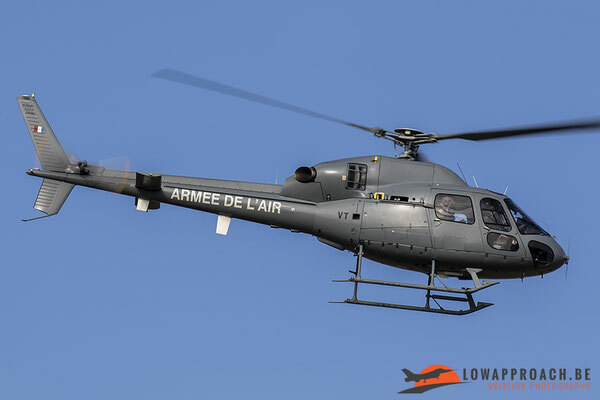 In contrast to Saint-Dizier I wasn’t checked by the police when I was in Nancy. Instead of the checks I was, in a friendly manner, told to leave. All in all I really enjoyed my first time of spotting in Delta Country and I will definitely return to this beautiful country.